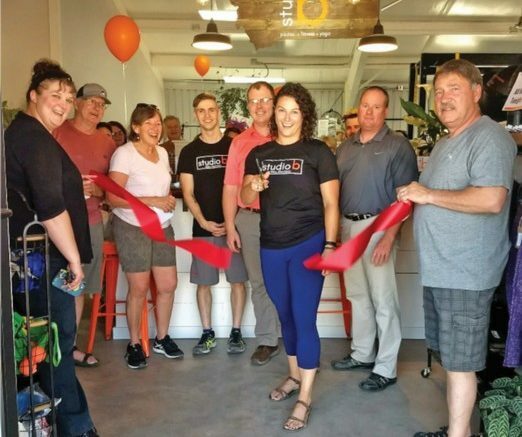 Studio B, previously Beyond Training moved to their new location at 216 West 9th Street in Libby and held their Grand Opening Party on Thursday, July 12 at 4 p.m. Owner Liz Whalen cuts the ribbon with Chamber of Commerce board members in celebration of the opening of her new studio. Photo courtesy of Myranda Cravens.